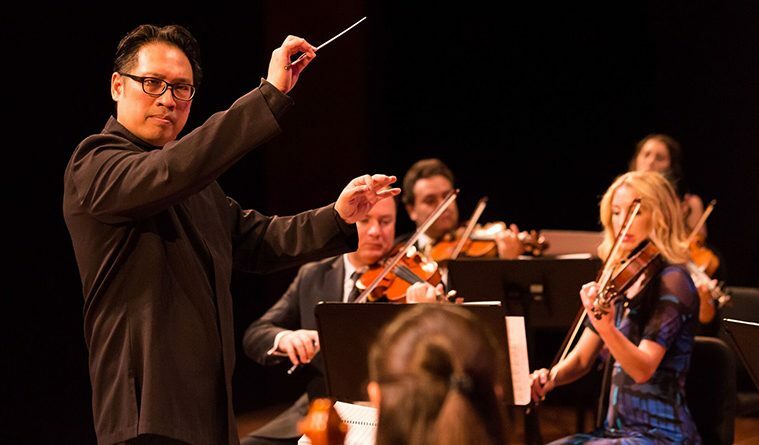 Maestro Marlon Chen conducting Philip Glass’ Aguas da Amazonia at the Aperio season opening on Sept. 10 at the Hobby Center for the Performing Arts. 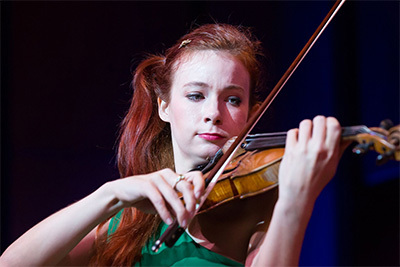 Violinist Chloé Trevor performing Glass’ Violin Concerto No. 2 “An American Four Seasons” at Aperio’s season opening. Photo by Lynn Lane. Against significant odds–flood damage at the Hobby Center and other Theater District performing arts venues, coupled with the personal losses suffered by many musicians during Hurricane Harvey– Aperio’s season opening concert, an all-Philip Glass affair, took place at Zilkha Hall Saturday night (Sept. 9). Gathering its biggest performing forces yet with a chamber ensemble of 30 for the North American premiere of Glass’ Aguas da Amazonia, Aperio celebrated the American minimalist pioneer on the occasion of his 80th birth year in style. The large scale 55-minute piece, inspired by the waters and tributaries of the Amazon River, is an exuberant reimagining and merging of the composer’s signature thematic material. Maybe it was watching the time-lapse video of the rise and fall of Buffalo Bayou during Harvey, or driving through my still-flooded neighborhood on the west side, where a segment of Beltway 8 looked like a river a few days ago, fresh and searing images of the storm that left Houston devastated surfaced frequently in my mind’s eye during the performance. Maestro Marlon Chen (MDR Orchestra Leipzig and Orchestre de Paris) led an ebullient, vibrant performance that was riveting throughout. Chen’s animated physicality gave the piece layered nuance, dramatic structure, and edge-of-your-seat emotional intensity. The orchestra pulsed with relentless energy and shimmered with a range of deep to brilliant colors. The waters portrayed sounded joyful and benign, and I could almost imagine our bayous dancing playfully again. Violinist Chloé Trevor delivered a thrilling and seamless performance of Glass’ Violin Concerto No. 2 An American Four Seasons. Trevor’s vividly expressive rendering gave the classically structured piece shape and direction, and brought out the nuanced drama inherent in Glass’ music. Jeffrey Ziegler and Roger Bonair of (M)iyamoto is Black Enough on Oct. 14 at the MATCH. Photo courtesy of the artists. 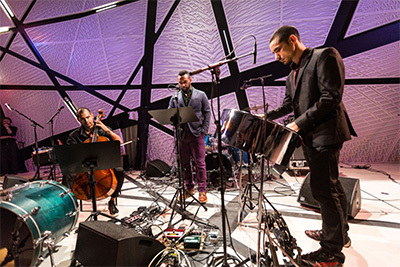 That was the case with bringing to H-town the contemporary/experimental band (M)iyamoto is Black Enough (Oct. 14), a groundbreaking group challenging listeners with a collage of improvisations and complex original compositions using a palette of steel pan, drums, cello, and slam poetry. Multiple influences, including hip-hop, jazz, punk, rhythm, and world music, will come together to form an indefinable sound world. The ensemble’s head-turning name comes from the 2015 controversy over biracial Miss Universe Japan Ariana Miyamoto being accused by some Japanese compatriots as not being Japanese enough. Roger Bonair-Agard, two-time National Poetry Slam Champion and long-list finalist for a National Book Award, uses spoken word, slam style, to address the social issues of our time. Just like the name of the group, the performance is meant to spark a debate about identity and self understanding. Aperio will be partnering with WITS (Writers in the Schools) for outreach to area high schools, featuring student performers as the opening act of the show. Zuraw admits that this is a learning experience for him as well. “I don’t think of myself as having a pigeon-holed taste in music at all, but I don’t know enough about hip-hop and slam poetry. This will be powerful and engaging on a visceral level. They (steel pan player Andy Akiho, cellist Jeffrey Zeigler, drummer Sean Dixon, and poet Roger Bonair-Agard) make a ‘dream team.’” There is also a Houston connection. Cellist Jeffrey Zeigler and Zuraw were Rice Shepherd School classmates. The exotically titled program Xochiquetzal//Kukulkan (Feb. 3) will feature several smaller scale chamber music works. “We’ve done many programs about Latin American culture in our 11 seasons,” says Zuraw, “this program is more about the ancient roots of our culture here in the Americas. 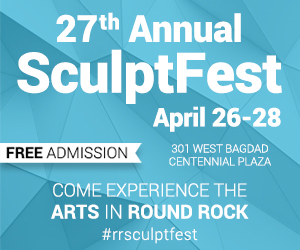 The music is astounding!” Anchoring the program are Robert Xavier Rodriguez’s five-movement work Xochiquetzal, arranged by the composer for violin and piano, and David Dzubay’s Kulkulkan, written for piano trio. Xochiquetzal was an ancient Mayan goddess associated with beauty, love, music, and dance. Surrounded by hummingbirds and marigolds, the richly adorned goddess is represented by the violin throughout. 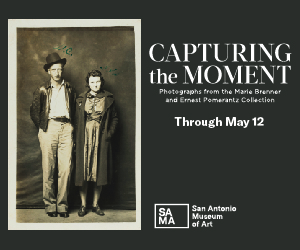 The music is lush and virtuosic, synthesizing folk elements and contemporary sounds. The ancient Mayan world is conjured through pentatonic themes, and the quotation of a dance tune called Xtoles, believed to be one of the oldest known melodies. Violinist Chloé Trevor, who premiered this version of the piece in Dallas in 2016, will once again bring her considerable artistry to Houston audiences. Kukulkan was inspired by composer David Dzubay’s visit to the Mayan ruins at Chichén Itzá, the site of the ancient temple of Kukulkan, the “plumed serpent” that has always inspired awe in Aztec culture. The six-movement piano trio is a fantastic reimagining of the various monuments of Chichén Itzá, each with its own ritualistic character. 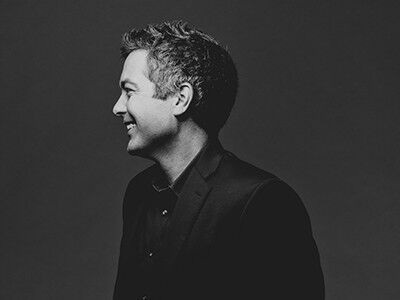 Utah Symphony pianist Jason Hardink will be premiering new work by Jorge Calandrelli with ensemble on April 28. Photo courtesy of the artist.